The 2019 Ombudsplan was tabled in Parliament by the President of the House of Representatives, the Hon. Anglu Farrugia. 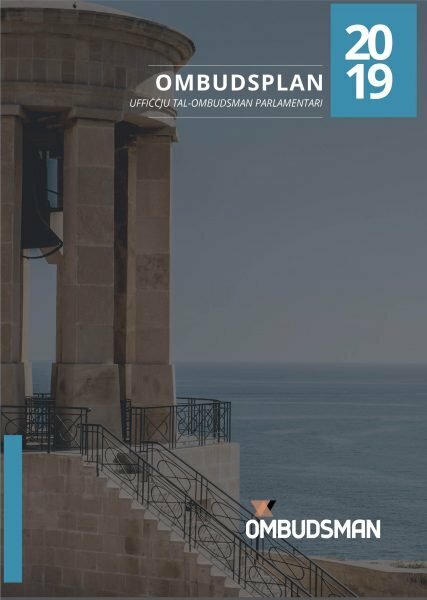 As it was the practice in the previous years, the Ombudsplan 2019, also highlights issues that the Ombudsman considers that deserve particular discussion namely the European Pillar of Social Right, the Equality Bill, the proposed set up of the Equality Commission and Immigration. The Ombudsplan will be discussed at a later stage during a special sitting of the House Business Committee.